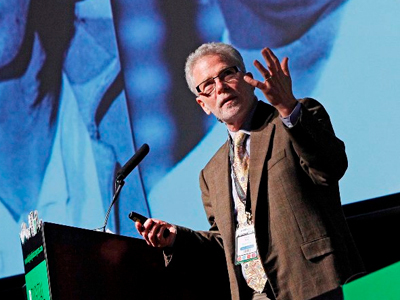 Gregory Stock – Microsite | Celebrity Speakers – Gregory Stock gives keynote speeches on the biotech revolution and how it will transform the healthcare sector. 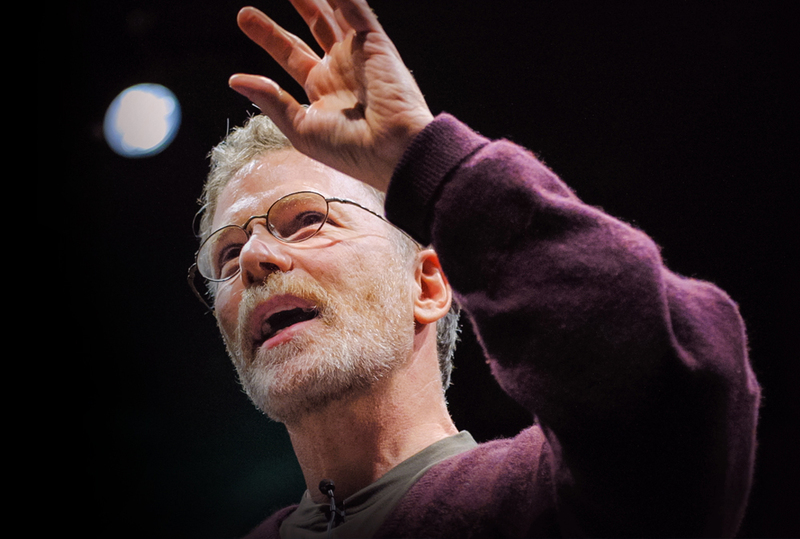 He discusses big data in healthcare, along with what are the limits for manipulating biology. 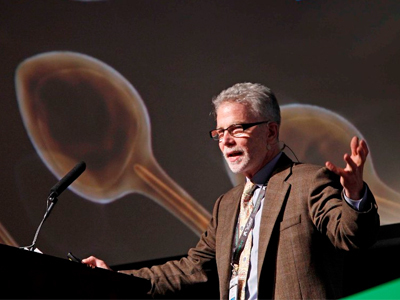 Dr. Gregory Stock is a leading authority on the broad impacts of genomic and other advanced technologies in the life sciences. He was the co-founder and CEO both of Signum Biosciences, a Princeton-based biotechnology company developing therapeutics for Alzheimer’s and other neurodegenerative diseases, and of Ecoeos, an innovative genomics company offering genetic tests for susceptibility to environmental toxins. 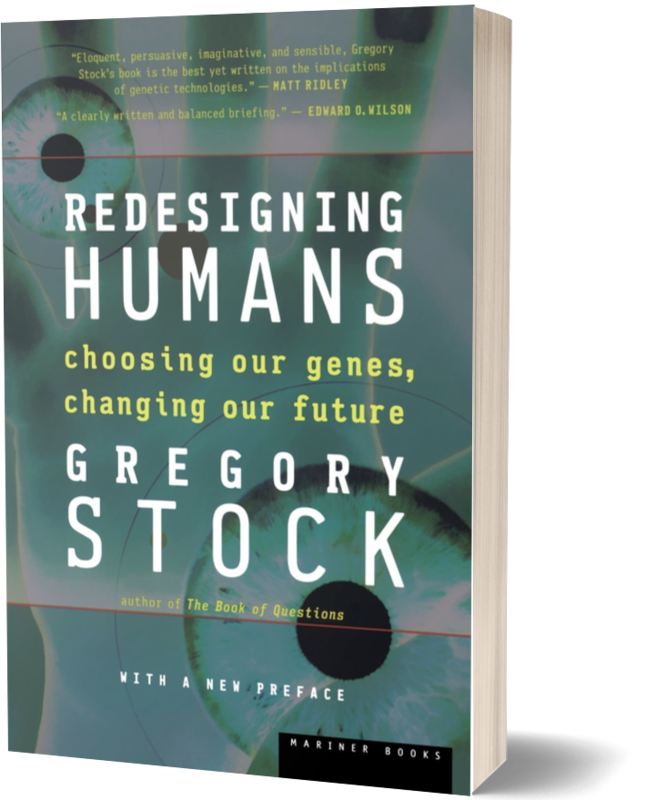 Dr. Stock explores our sense of the human using diverse questions about what it would mean to alter fundamental aspects of our biology, build conscious beings out of silicon, and continue our rapid technological advance. A biophysicist by training, he approaches these and other big issues in pragmatic, down-to-earth ways that challenge our thinking and values. He is a major game changer and thought leader who tackles controversial issues. Big Data in Healthcare: Best Hope or Worst Fear? Prosthetics, Designer Babies, and Life Extension: What are the Limits? You believe that medicine, fired by technological advances, will carry us towards healthcare that is more personalized, more preventive and more participatory. Will this happen any time soon and what will be the barriers to implementation? This shift is already underway and on a path to profoundly transform healthcare during the next two decades. The driver of this is the digitization and aggregation of information about our health, physiology, behaviour and activity, coupled with ever better ways of analysing, integrating, interpreting and sharing this information. We have taken only baby steps so far, yet already we can continually monitor our patterns of exercise, sleep, heart rate and much more, and couple such data with information about our genetics, blood chemistry and such. Useful Health 2.0 devices of this type are readily available in the less-regulated realms such as personal health and wellness, and there are medical applications in areas like glucose monitoring by diabetics, expert-system diagnostic aids for physicians, and the increasingly accessible medical imaging technologies like ultrasound and MRI. The global communications infrastructure that puts computational power at our fingertips and ties us to massive online knowledge and brainpower is the soil from which this new medicine is sprouting. Happily, the harvest will not be reserved for the privileged few. It will be available broadly, because as medicine becomes an information technology, it will manifest the same economies of scale that brought us cheap smart phones, computers, and digital cameras that were once out of reach of even the uber rich. This coming transition will be disruptive, chaotic and difficult, and it will face obstacles ranging from rigid institutions like medicine to regulatory frameworks that are ill suited for serious change. To navigate this shift effectively and to understand how it is likely to play out, people and companies alike need to fully appreciate both these barriers and the potent drivers that will push them aside. You mention that Medicine might be an obstacle. Could you elaborate on that a bit? The Institution of Medicine is very resistant to change. Physicians may be happy to embrace promising new technologies, therapeutics and procedures, but they are resistant to shifts that threaten to undercut their centrality to medicine and their livelihoods. In the U. S., for example, medical professional organizations have resisted the rise of Minute Clinics, which provide convenient, inexpensive vaccinations and offer routine healthcare at pharmacies using nurse practitioners. After all, these clinics funnel patients away from doctor’s offices. Changes to the content of medical education have been excruciatingly slow too. Medical schools have ossified curricula that are not keeping pace with the digital revolution now underway or even with the new possibilities of genomics and personalized medicine. Such institutions are not going to lead the way to a transformation of healthcare. Nor will other large institutions like the FDA and EMA that play central roles in the existing healthcare delivery paradigm. To understand the path to the coming transformation of healthcare, we need to look elsewhere. You talk about the Biotech Revolution, what exactly does this mean and what do you believe are the impacts on business and society? The Human Genome Project is the poster child of biotech, but the Biotech Revolution encompasses all the recent breakthroughs in molecular and cell biology, genetics, biochemistry, bioinformatics, medical imagery, diagnostics and other life-science arenas that together are enabling us to begin to adjust and modify the workings of living systems in controlled ways. The implications of this newfound capacity are hard to overstate. Beyond various welcome developments like new diagnostics and therapeutics lie a host of challenging possibilities ranging from Biological Warfare agents to human enhancement, GMOs, extended lifespans, and designer children. Quite literally, we are beginning to shape our own evolutionary future, and nothing will ever be the same. The impacts on society of even advances like birth control, the agricultural green revolution, and modern medical diagnostics have already deeply affected society by shifting demographics, changing the roles of women, and altering intergenerational dynamics. The business implications of advances in the life sciences as well range far beyond the obvious global effects on healthcare, medicine, and agriculture. Biotech is challenging the solvency of social security, impacting life insurance underwriting, fostering the retention of wealth by healthier senior citizens, and shaping people’s food options and choices. It would be perilous for anyone thinking about strategy, public policy, or the future in general to be uninformed about the powerful possibilities now emerging in Biotech. Humankind has seen unprecedented change in all aspects of life during the last few years. Do you see this continuing and how do you feel we as a species will evolve? Life as we’ve previously known it is ending. This is not because we’re at the brink of catastrophe, but because the potent technologies we’ve spawned are re-making both society and our own selves. The implications are so overwhelming that it might be comforting to just ignore them. But this would be a huge mistake because we need to have our wits about us these days. We’re in the midst of 2 transitions that are unprecedented in the history of life. The first is the Silicon Revolution by which we are awakening the non-living world by imbuing it with a complexity that rivals life itself. The second is the biotech revolution by which we re beginning to reshape the very processes of life. Together they represent a fundamental transition for life that is bigger than any in the previous 500 million years. Smart phones, GPS, Social media, in-vitro fertilization, artificial organs: these are just the beginning. Such technologies are multiplying, mutating and budding into a myriad of new forms with new powers and capabilities. Soon we will be dealing with driverless cars, personalized medicine, nanotech, big data, 24-7 surveillance, real artificial intelligence … and much, much more. Get Ready! Life is going to get very weird, very soon. So much so, in fact, that it is not at all clear what it will mean to be human when we reach 2050. Your ‘Book of Questions’ is a New York Times No.1 bestseller. Why were you inspired to write this and what do you feel that people and businesses can learn from this? We’re living in the most abundant, opportunity-filled time ever. And it is the most disorienting one as well. Few of us anymore are concerned about basic survival needs like food and shelter, but we’ve paid a price. Despite – or perhaps because of — all that we have, we have little to anchor our lives. We must grapple as never before with who we are, how we want to live, where we fit in, what we believe in. Never have we faced so many fundamental choices: Our religion. Our values. Our politics. Where we live. When (and if) we have kids. Their gender. Our gender. Even when to pull the plug when we reach death’s door. My book is a tool for recognising and exploring the essential questions in our lives, figuring out what really matters to us, and grounding ourselves in a world brimming with so many choices and possibilities. This same process of questioning and exploration applies to businesses too, particularly when they are developing and refining strategy. To succeed today, we need to face essential questions about what we are doing and why. The deep pervasive, technology- driven changes that are bringing us unbelievable material wealth, privilege and connections are also pummelling us, pulling us in different directions, distracting us, and jarring our relationships and familiar ways. Our challenge today is to make sense of all this and carve a fulfilling place for ourselves as the world shifts. And for that, we must see clearly, and we must find the courage to face the difficult questions that we might prefer to set aside. 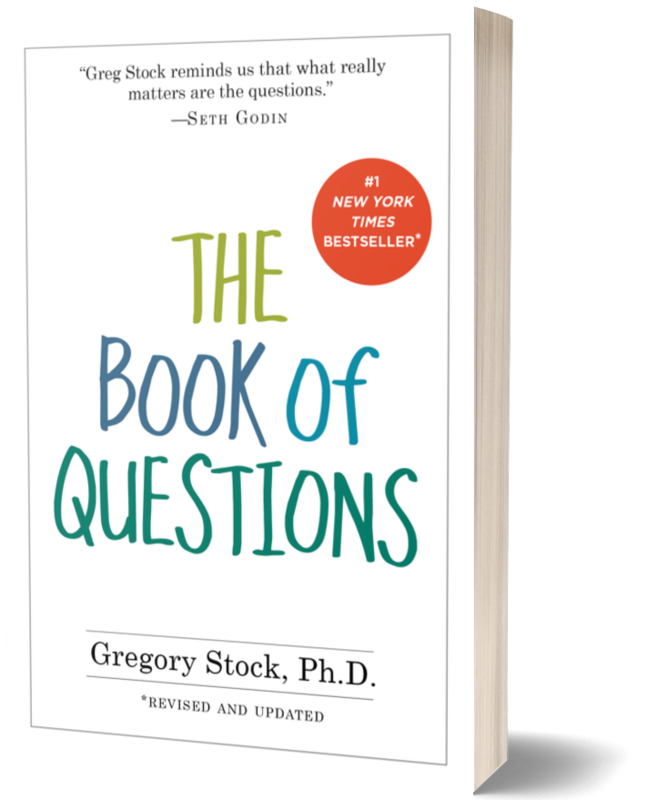 An update of the bestselling Book of Questions, the revised book poses over 300 questions that invite people to explore the most fascinating of subjects: themselves. It’s a book that can be used as an avenue for personal growth, a tool for deepening relationships, a way to get to know someone quickly, or simply as a fun way to pass the time on long car trips. The revised edition is completely updated, and features over 100 new questions that reflect the current culture shifts of the past 25 years. The author of this book is one of the best apologists for genetic engineering alive today, and this book is a fine example of his sound argumentation and common sense. He is unashamed of his position, delightfully unabashed, and one gets the impression while reading the book that he is very excited to be alive and be witness to the incredible advances in genetic engineering now taking place. Those who support the genetic engineering of humans should read the book, along with those that don’t. 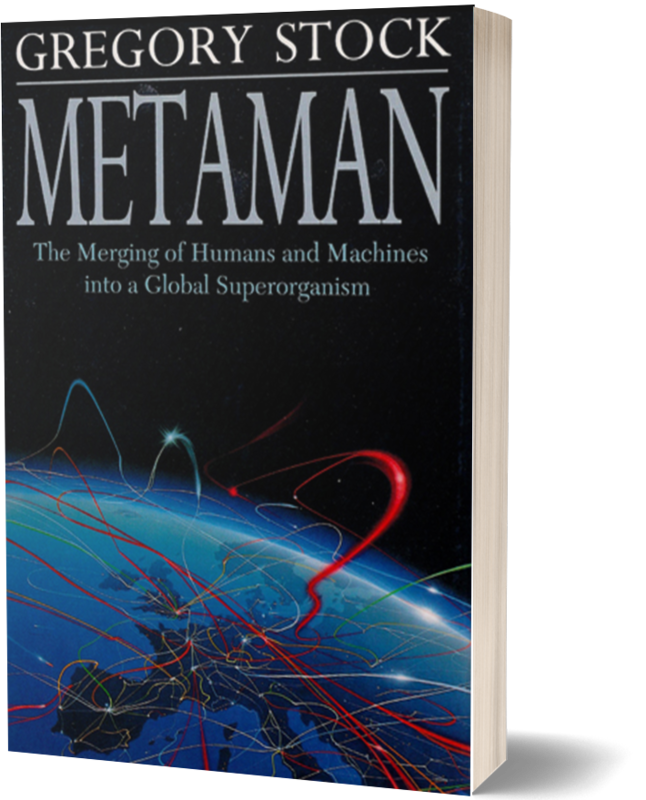 In this supremely optimistic futuristic survey, Stock argues that a symbiotic union of smart machines and humans, combined with increasingly interdependent global communications, trade and travel, is coalescing civilization into “Metaman”, a planetary superorganism. Constantly monitoring itself and its environment, Metaman is responding, albeit slowly, to global warming, overpopulation, the need to shift from fossil fuels to renewable energy sources, and other crises. Illustrated with photographs and drawings, this wide-angled report fails to convince the reader that Metaman is anything more than a metaphor. His goal in his books, television and radio appearances, lectures, public debates and conferences is not to provide answers or effect specific policies. He wants to challenge people’s thinking, move public discussion towards deeper underlying issues and shift the context of policy debate by bringing up the immense shifts that are so relevant to these matters. If you would like to book Gregory Stock for your next event, please call Jakob Juhl on +376 735 174 or send an email to jakob@csaspeakers.com. To learn more or to book Gregory Stock to speak at your upcoming event please do not hesitate to call or email me.